Born and raised in Montgomery County, Derek has grown up in and around Philadelphia his whole life. After receiving his Bachelors of Science in Business Management and a Minor in Economics Derek pursued multiple Customer Service Roles, most recently in Minor League Baseball in Central, PA. Derek has said the clients he was able to meet and work with was what made the long hours and busy days really worth it. “Being able to make someone’s day was so humbling”, Derek says. Derek, was able to transfer many of the skills he’s learned into the Real Estate realm. 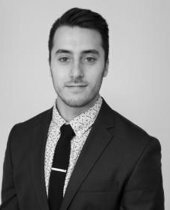 He prides himself on open communication and being thoughtful as well as thorough with his clients and colleagues through every step of the Real Estate transaction. Derek is excited to be able to move back home to Philadelphia and work with a great Philly Living team to make even more clients dreams come true!